Porsche fan? Aren’t we all? Well, if you’re a fashion-conscious disciple of the flat-six, there’s a new brand in town – Motoratus – and you’ll want to be repping their garbs on your next road trip. If the name sounds familiar, you may have spotted their ‘soft launch’ at Canford Classic’s Fourth Porsche Pull-In back in August. Now though, the label is ready for the big time, announcing its Autumn Winter 2017/18 collection. While brought to market through Canford Classics, Motoratus has real fashion pedigree on its books, with Adrian Cross and Gary Burnand bringing a wealth of experience from the likes of Levi’s, Barbour (including the Steve McQueen collection) and Indian Motorcycle’s range of clothing. This has means a level of quality not usually found in automotive-inspired fashion. 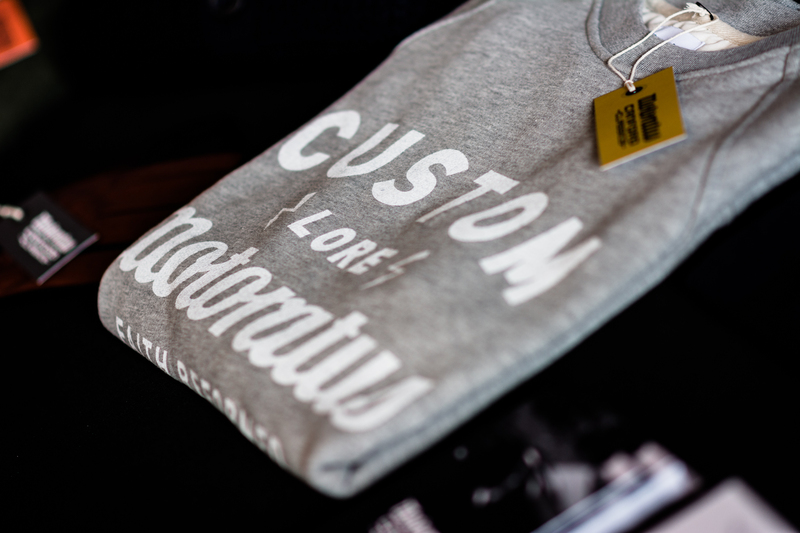 There’s plenty of merino wool, soft touch leather and premium cotton; there’s not a cheap, screen-printed T-shirt in sight! 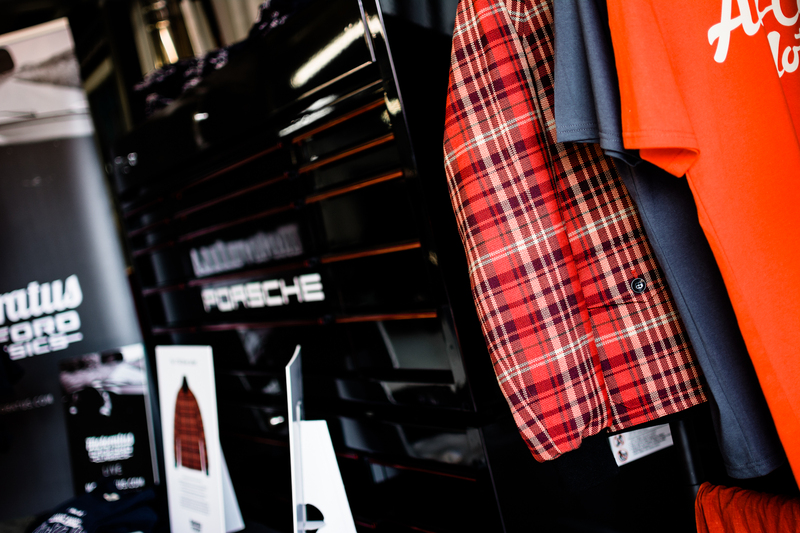 Taking their inspiration from the classic Porsches often found frequenting Canford Classics’ rural HQ, Motoratus’ debut collection is a predominantly subtle affair, with a smattering of retro T-shirt designs (Deus fans would approve) and a touch of timeless knitwear, like the Monte Carlo sweater (£95). The Abingdon driving gloves (£115) are a personal favourite too though the undoubted star of the show is the T-75R Driver jacket (£495). This reversible bomber uses black Grenfell cloth on one side (worn in period by retro racing icons such as Sir Stirling Moss) while the other side is a little more eye-catching. 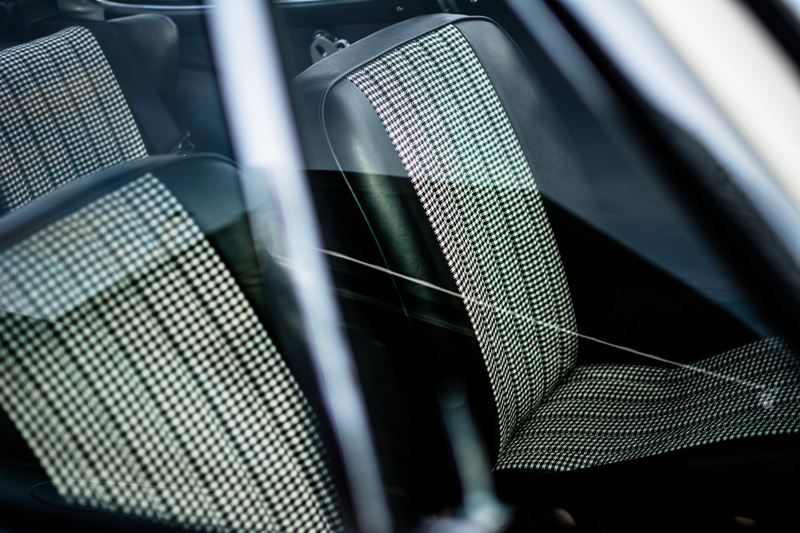 Yep, that’s a genuine 1970s Porsche seat cloth material, woven in Scotland and recently recommissioned for certain Canford Classic restorations. All items are available to order online, via Canford Classics and at selected international retailers. You can check out the full range of premium garbs over at motoratus.com. More Porsches? Oh, go on then. It’s just what the doctor ordered.